The American Subcontractors Association Inc. is an IRS section 501(c)(6) non-profit, national membership trade association of 5,500 subcontractors, specialty trade contractors and suppliers in the construction industry. The association amplifies the voice of and leads trade contractors to improve the business environment for the construction industry and to serve as a steward for the community. The ideals and beliefs of ASA are ethical and equitable business practices, quality construction, a safe and healthy work environment, integrity and membership diversity. The Association of the Wall and Ceiling Industry has more than 2,000 members that are primarily wall and ceiling contractors, product suppliers or product manufacturers in all 50 states and many countries. 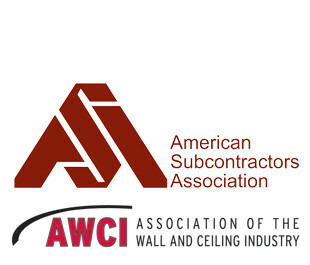 The contractor portion of the membership accounts for 50 percent of related construction volume in the United States.The mission of the Association of the Wall and Ceiling Industry is to provide services and undertake activities that enhance the members' ability to operate a successful business. 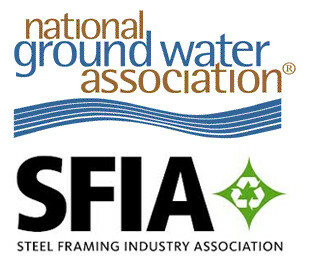 The National Ground Water Association is a private nonprofit organization representing the professionals involved in the ground water industry: scientists and engineers, water well drilling contractors and pump installers, and equipment manufacturers and suppliers. Its membership includes the highest-caliber researchers and practitioners in these fields, who regularly lend their expertise to the furtherance of their profession and to the benefit of the ground water resource. The Steel Framing Industry Association is the first and only all‐inclusive association focused on promotion, advocacy, education and innovation for the steel framing industry. The primary goal is to unify the industry to expand the market for cold‐formed steel framing. Membership categories include steel mills, coil coaters, processors, roll‐formers, fabricators, engineers, material distributors; all the way through and including the end‐user, the framing contractors.